Chamilia Freedom Heart Lock is rated 4.3 out of 5 by 3. Rated 3 out of 5 by Anonymous from Great lock but comes unclipped very easily I recently bought this product to keep my charms in place. It was brilliant! I always ensured it was secure and the clip was on correctly. I wore it last weekend and within an hour of being out at the shops it had unclipped and I had lost it! I'm now going to buy a chain lock rather than just one single lock. It is a good product, and brilliant quality but if you're going to buy a lock to keep your charms safe I wouldn't waste your money on the cheaper single lock charms. Although the chain locks are more expensive I'm hoping it will stay attached! 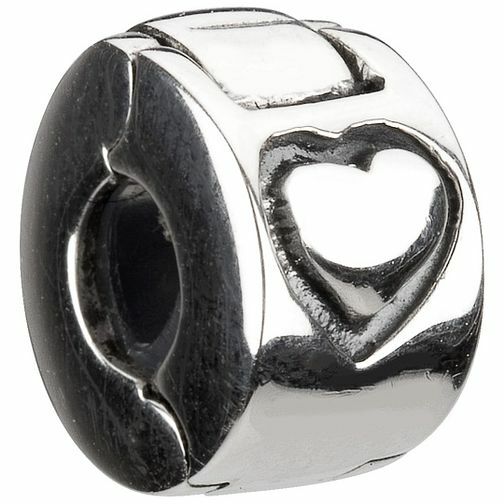 Rated 5 out of 5 by Anonymous from Locking Heart Charm Functional and Cute I bought my wife the Chamilia Bracelet as a gift for our wedding vow renewal in Feb 2012 with the promise that I would buy her a charm for every occasion and every holiday we take! With only 6 charms they were driving her crazy spinning around the bracelet. This locking charm was a gift for our anniversary, it's stopped them moving around and therefore stopped her moaning about them! Great deal in my opinion.